It was right at the start of James Horan’s first tenure as Mayo manager that a teenage Cillian O’Connor was first given his chance playing at senior level for the county. Eight years on, the Ballintubber man – who captained the county team during Stephen Rochford’s reign – is set to be sidelined for the beginning of James Horan’s second coming, as he’s just undergone knee surgery. How long that’ll be remains unclear. Obviously, Cillian wouldn’t have wanted to undergo the procedure until Ballintubber’s club championship run was over so it’s understandable that the surgery didn’t happen earlier than it has. The fact that he’s now had it done and is in rehab means that Cillian is likely to miss at least a few rounds of the League next year. While it’d be good to have him back for as much of the spring campaign as possible, it’s clearly way more important to have him fit and ready for action next summer. At the recent Mayo GAA lunch in the Shelbourne, James Horan spoke about the year ahead as a season with three fairly distinct phases, hinting that different players may need to be deployed by us at different times of the year. As Cillian has proven in spades down the years, he’s one of our key men when the stakes are highest so getting him back for the summer has to be the priority. The timetable for his return to action will, no doubt, be with this in mind. Here’s hoping Cillian’s recovery goes smoothly and that he’s back chomping at the bit again before too long. I thought he looked hungrier and sharper in this year’s club championship than he’d looked for a while and so, with the knee sorted, it’d be great to see him back with all guns blazing as we head towards the serious stuff next year. 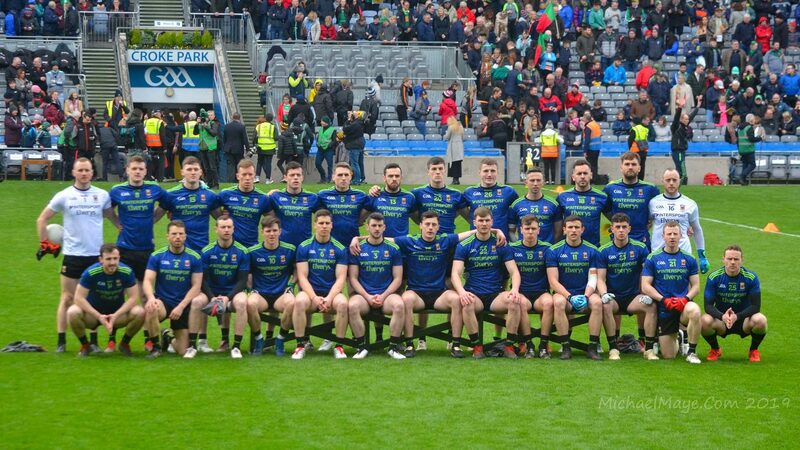 In other news, Connacht GAA yesterday issued the full 2019 championship fixture list for Senior, Junior, U20 and U17 levels – that’s here (pdf). The time and date for our preliminary round FBD League match against Leitrim was also confirmed yesterday. That’ll take place at Páirc Seán MacDiarmada in Carrick-on-Shannon on Sunday, 6th January, where throw-in will be at the early time of 1.30pm. By the way, Rob and I already have that one in the diary to throw the ball in on our 2019 Mayo News football podcast coverage. I’m sure it’s a date that’s in the diary for plenty of the rest of you too. The hang samdwitches and bottle of tae are already made for January 6th. Looking forward to the 6th of January no doubt we will all have cabin fever after Christmas and will be good to go.i think the break will do Cillian good I wish him a speedy recovery. Young Akram from Ballaghadreen who was in the development squad last year is another man out with injury, I was wondering what had happened to him, great prospect. Wishing Cillian and all our other injured players a speedy and straight forward recovery. Sharoize was interviewed during the week by The Western. Made mention of Sigerson and getting himself fit. Didn’t mention he was injured. Wasn’t Shairoze playing with Nathy’s in the u21 championship a couple of weeks ago? All going well cillian will become the highest scorer ever in Senior Inter county championship football sometime in this year’s Connacht championship. Spent upwards of 49 minutes earlier this evening listening to Philly McMahon on Newstalk sports prog ‘Game On’ earlier which gave me a different perspective on the man. Allowing that it was what might be called a ‘soft’ interview he is not just the “thug” on the field which was my previous view of him. The panel list is interesting with a couple of handy young players there for the next couple of years. Here’s wishing Cillian and all the injured players a speedy recovery. Great to hear the Podcast is making a welcomed return. Is it January yet.? Is there an official panel released, PJ? Where would I see it? Nathys scored 2-4 that night with Sharoize scoring 2-1 of that. Surely that makes him at least the 4th best player for Nathys on the night? If he decided not to tog Nathys surely score less than the 2-4 they managed indicating his impact. Cathal Horan should want to stay with Mayo. Hopefully he will but sometimes young fellas need an arm around their shoulder and some guidance. Mayo GAA shoukd be at a point where top players coming thru underage are focused primarily on playing senior football for Mayo, not heading off to the other side of the world to play a game they never played growing up. We already lost one star to afl which proved crucial in us not winning Sam so far this decafe. Surely the ‘powers that be’ in Mayo football can’t allow any more prospects slip thru the net. Give Cathal some credit for knowing his own mind. If he and any other young man wants to pursue a career as a professional sportsman then I wish them the best of luck and help they are successful. They don’t need anyone putting an arm around them telling them what’s good for them. Kerry held onto Clifford because he decided himself he didn’t want to go to Australia. They have lost two players in the last year to Aussie rules. 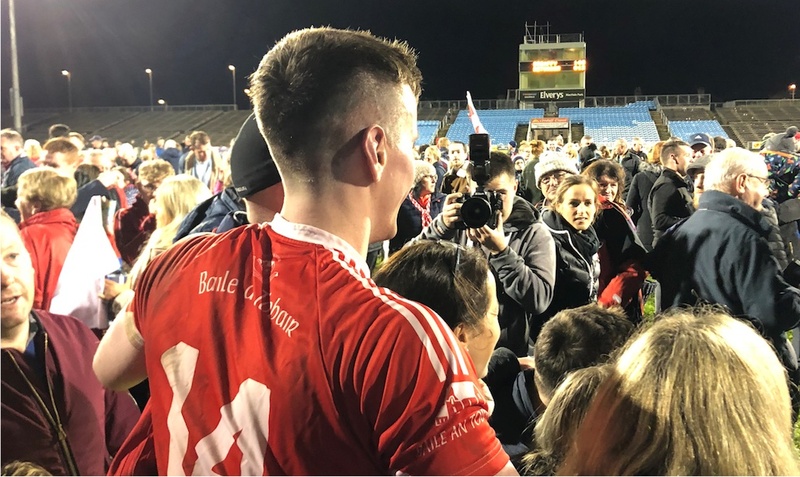 I am sure the Mayo county board will try to persuade Cathal Horan to stay – but if he decided himself he wants to go – there is nothing county board can do about it. Attended South Mayo U21 Final today. Fantastic game of football. It’s a pity that lads are asked to play this close to Christmas. Claremorris would be a lot stronger than Garrymore at this level. They were without McCormack, Diskin, Macken & Quinn. Garrymore short Quinn. Stephen McGreal and Colin Gill the pick for winners. Liam Og Horkan and Cathal Slattery for the unlucky losers. The South Board managed to collect money at both entrances but had no officials bar the referee. The lack of respect this shows to both teams cannot be understated. Unfortunately the standard of officiating was very poor also. Claremorris have a fine young team coming through and will be a threat over the next couple of years if they stay together.